Somebody sound the alarm because Power Sports opened the week w/ a 3-0 SWEEP! He's now a *RED HOT* 16-5 his L21 in MLB (4-0 L2 Days!) and off to a STRONG start to the NBA Playoffs as well! Subscribe today! $1,000/game players have cashed in $14,160 on my NBA picks since 01/17/19! 10* LA Dodgers (8:10 ET): These teams have similar records, but delving into the box scores reveals that the Dodgers have played significantly better than have the Brew Crew. While the 12-8 Dodgers happen to have a NL-best +29 run differential, Milwaukee (12-7) has actually been outscored on the year (by two runs). These clubs met not long ago, in LA, and going into the series finale the Dodgers were on a six-game losing skid. They haven't lost since, having beaten Milwaukee 7-1 on Sunday, then sweeping the Reds. It's time to show "who's boss" in the Senior Circuit. Thursday's starter for the Dodgers is Julio Urias. He also started the opener of the last series vs. Milwaukee. He lost the game, giving up five runs in five innings, to stay winless on the season. That made it B2B suspect starts for Urias after he didn't last long in Colorado either. He did open the year w/ a strong effort though; five shutout innings of three-hit ball against the Giants (7-0 KW rate), so he's certainly capable of pitching well. Something else to consider here is the Dodgers' offense. They lead the National League in runs scored, batting average and OPS. 8* Over Blue Jays/Twins (1:10 ET): The two starters for this series finale come in w/ a combined 4-0 TSR this year, but quite frankly I'm not sure either can be counted on for any kind of consistent basis. For Toronto, Clay Buchholz is making just his second start of 2019. The first couldn't have gone much better as he allowed just one run while scattering six hits over six innings and the Blue Jays stunned the Rays w/ a 9th inning rally to win 3-1 as +190 dogs on the ML. Minnesota's Michael Pineda has a 3-0 TSR, but is averaging just 5 innings per start and it's not like the Twins' bullpen isn't suspect (see Monday's game). I see this one goinig Over the total. Now Toronto's offense has been pretty poor so far. They are in the bottom 10 in runs scored, batting average and OPS. But there's been a recent uptick w/ them averaging 4.6 runs over the past seven games. Before getting held to just the one run yday, they'd scored at least four times in six of their previous seven contests. I believe they'll be able to get to Pineda, who has given up a HR each of his L2 starts. Remember that Pineda sat out all of last year due to Tommy John surgery. While his pitch count has increased w/ every start, it's still a relatively "short leash" and he probably won't go deep into this game. 8* LA Clippers (10:35 ET): The "world" figured to be on the Warriors here after they blew a 31-point lead and lost to the Clippers in Game 2. Sure enough, that is the case and while Golden State certainly ought to be respected, they are laying far too many points in this spot. I though the lines for both Game 1 and 2 were inflated. Now it looked as if "the joke was on me" midway through the third quarter of Game 2. Having already lost Game 1 by 17 points, they were down by 31 and things were looking bleak. But that's when the greatest comeback in NBA Playoff history took place. The Clippers are now back at home where they went 26-15 SU during the regular season. They shot 56.5% from the floor in Game 2, a number they likely will be unable to match tonight, but nevertheless this remains a prolific offensive team. They average 117.9 PPG at home and as previously noted, Golden State isn't as good defensively this season as in years' past. Obviously, it is rare to find the Clips getting this many points at home. They split two regular season home games w/ the Warriors and neither time were they getting this many points. 10* Brooklyn (8:05 ET): This was a specific game I had targeted when they playoff seedings were first announced. Philadelphia is a pretty pedestrian road team, having gone just 20-21 SU in the regular season. Brooklyn, as they showed in Game 1 of this series, is better than you think. They took the series opener, leading almost wire to wire, 111-102 as an eight-point underdog. I had them. Sensing some potential retribution from the Philly side, I laid off Game 2. That was wise as the Sixers shot 56% from the field en route to a 145-123 win and cover. Looking at the lines for Game 1 & 2, the Sixers seems to be a bit overvalued here as the series moves to the Barclays Center. Maybe that shouldn't be a surprise considering the nature of the Game 2 victory. But my own personal power ratings have this game as a pick 'em. Take the points. Brooklyn went 23-5 SU as a favorite in the regular season. Honestly, I thought the likelihood of them being favored in this spot was greater than them ending up as a dog. But then Game 2 happened. It's not that the Nets didn't shoot the ball well, quite the contrary. They were 47.9% from the field, including 15 of 36 from three-point range. The problem was they gave up 51 pts in the third quarter. Yes, 51 points. Philadelphia shot 18 of 25 in the quarter and was 11 for 11 from the free throw line. 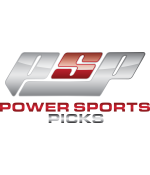 Bryan Power started Power Sports in 2015 after being an individual handicapper for several years. Simply put he thought it was a good idea to expand his team so he can go into even more detail on all of his games. What this means is that you should be in a good position to profit this season if you are following his daily NBA picks. He puts a lot of thought into each pick by going through all of the offensive and defensive matchups, the coaching strategies and philosophies, and the situations both teams are in coming into the game. Simply put, beating the NBA odds takes a lot of work. It’s not only time consuming, but you have to know what you are doing. That’s what you get with Power, a lot of experience and a team that is working hard to beat the numbers on a nightly basis. Is he the best NBA handicapper in the world? Not quite, but he’s pretty good. His free picks will be worth a look this season and I wouldn’t miss any of his big plays. They tend to be real profit makers for his clients. He finished the season 62-44 (59%) after the All-Star break so he’s coming into the current season on a real hot streak. Give him a look and start making a little money on the pro hardwood.